Your hassle-free repair experience begins the moment you choose Matthey Automotive. 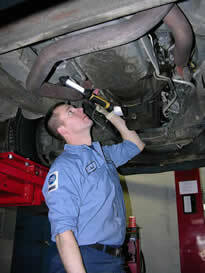 Our friendly and courteous team will help you select the most convenient time for your car or truck service. We are open Monday through Friday, 8am to 6pm and we are available by appointment on Saturday mornings.